Shop for Dental Implants in Harrisburg with Ease! If you’re missing teeth, the best thing you can do is work to replace them with the help of your local dentist. In fact, working with a dentist can help you place dental implants in Harrisburg for an effective, long-lasting tooth replacement. 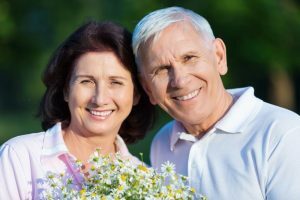 Although dental implants are one of the best restorative options out there, they can become complex when you don’t have high-quality dental implant materials or an expert dentist to help you place them. Asking these questions in this week’s blog post can help you shop for dental implants. What experience does your implant dentist have? Implant dentistry can become complex if you don’t have a professional with the proper experience to help you. Implant dentistry is a technical practice that requires a high level of skill and deep understanding of the mouth—both the inner and outer workings that make up your smile. Choosing a highly experienced dentist will help to ensure that your dental implant placement will be successful. Choosing your implant dentist is relatively simple. You can search online or call the office directly for opinions on a potential dentist’s work. Don’t forget to check their website and do your own personal research. How much can you expect to pay for dental implants? Cost is always one of the things that you should consider—especially one that effects your health. However, you must consider what plays into the sum of the cost. For instance, you’ll probably find very affordable options, but you should ask yourself are they going to last for the rest of your life? Dental implants that are successful are a true investment in your health—one that’s well worth it. The cost is an accumulation of the cost of an expert dentist’s professional opinion, tools, and resources it takes to effectively place your implants. What do other patients have to say? Nowadays, it’s easier than ever to find out what other people think of your dentist and their work. Online reviews are a very useful tool to really understanding the quality of your dentist’s work and whether they last or not. Plus, you’ll be able to see if your dentist creates positive dental experiences or alternatively, if they do not. Use your best judgement and this helpful tool to choose your implant dentist. Dental implants are completed in two phases: the placement and then the actual restoration. The implant is placed relatively quickly, but your healing period will take several months. With that being said, it’s best to get started sooner than later! Learn more about how a dentist can help you by scheduling a consultation with your local implant dentist in Harrisburg today! Here at Klein Family Dentistry, we know how important it is to have a complete smile with teeth that will last a lifetime. If you’ve lost teeth already, you can still repair it with functional tooth replacements. Learn more about how we can help you today! Comments Off on Shop for Dental Implants in Harrisburg with Ease!